Hi everyone I use some cv e 715 mainly for home theatre duties because of there 15"woofer air pushing duties,but I'm finding I could need a bit more clarity on the mid range. and perhaps the tweeters .I have removed drivers etc and there is padding on side and back walls with bracing half way up cabinet.Now I realize they are what they are but anyone who can chime in and help this novice with possible improvements to cabinets and replacement drivers of a higher quality that would be appreciated thanks. What are your budget expectations (for any upgrade)? Are you willing to alter ( cut into the face of ) the cabinets? Do they have an existing dog-house ( sealed, mini enclosure ) for the current mid-range driver? Last edited by EarlK; 1st January 2017 at 11:06 PM. Use a sealed back midrange...so no enclosure needed. Replacing drivers is a fool's errand. You will have difficulty sourcing midranges and tweeters sensitive enough to match the woofers. Even if you can, you will need to measure the new drivers and redesign the crossover. Sell them to some kid for ~1/2 what you paid and buy something better? If you want to use what you have, look into the "econowave". No problem chucking couple hundred pounds per side at a improvement as eventually won like to build something but got to start somewhere. Maybe ( a fool's errand ), but ( since every-time I get to hear the Audax PR170 it makes me smile & therefore ) I figure everyone else ( with an itch ) should get to own a pair ( even in a franken-speaker ) to begin their audio journey to somewhere better . The venerable EAW FR153 could serve as an upgrade path ( with the components vertically arrayed ). This mid will offer out-standing high-efficiency mids @ 400hz to 4K ( when put into a small sub-enclosure //> think insulation-packed, approx 6" diameter, card-board sono-tube ). Of course, there's the problem of the existing crossover / but if a fellow isn't too picky at this juncture ( & is a CV user going to be ?? ) then I'd just wire it up and have a listen ( ie; nothing ventured, nothing gained & all that ). Last edited by EarlK; 2nd January 2017 at 12:30 PM. The EAW 153 ( plus a few other models ) uses a small round waveguide ( with a compression driver behind it ). If you look around ( on your side of the Atlantic ) you might find this little guy to retro-fit to your CVs. This is available in N.A. at FullCompass.com, as part# 504002 . That guide ( or similar ) driven by something like the Peerless Compression Driver ( crossed around 2.5K ) will offer a very good HT experience ( IMO, after a network gets created & dialed in ). PS; that Audax PR170MO, is available in the UK from FalconAcoustics. Last edited by EarlK; 2nd January 2017 at 12:49 PM. I honestly think putting a couple hundred pounds to a kit will give a better chance of success / satisfaction. I already mentioned the "Econowave project" as a means of improving what you have. Thanks guys i guess frankenspeaker it probably will be as I have gone through 6.5" to 10" kefs up to these 15" speakers and even though they are what they are I prefer there air moving abilities for home theatre after wearing out my sub twice before ,with my style music even with a sub .The mid range is in its own sealed space and I have no problem adapting the box for a higher quality mid,trying to find out crossover of existing mid so to not have to alter crossover yet.Will check out to see if I can match up mids with your example.The econwave kit looks great but the 15" Vega drivers are unfortunately a must till I could find a better one of them as well. The econowave could likely use the Vega 15. Worth looking into. This PRV waveguide ( 152i clone ) is sonically nice & can look good over a 15" woofer ( & through the economics of eBay's "Global Shipping System" ) can now be acquired in most countries at reasonable cost. Search eBay for the "Parts Express" store / then "PRV" and then you can find out the cost to have a pair sent to the UK. 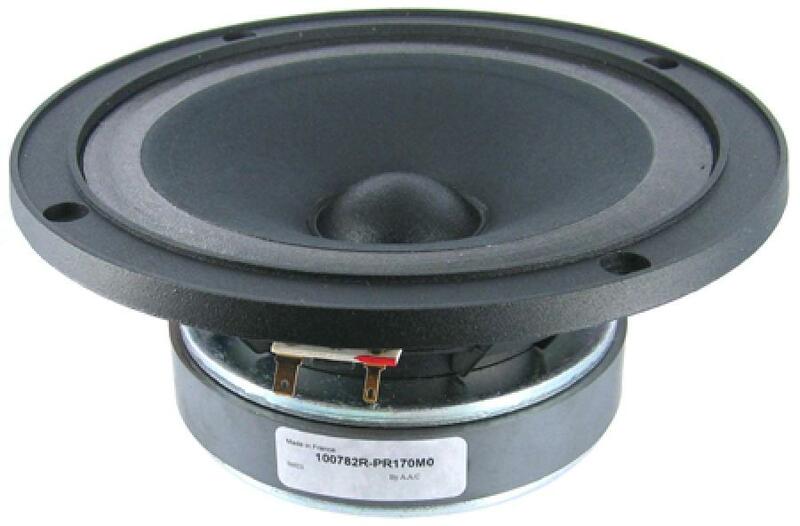 Buy a pair of B&C de250's locally ( & then use a Zilch econowave network designed for this horn/driver combo and live with the "wrong woofer" lash-up ). Last edited by EarlK; 2nd January 2017 at 07:54 PM.